Epoxy Technology offers a full range of electrically and thermally conductive epoxy adhesives for the semiconductor, optoelectronic, automotive, aerospace and electronic assembly industries. Their extensive product line allows engineers to select material with the best combination of physical, electrical and thermal characteristics. 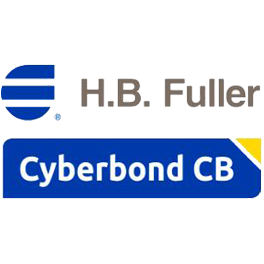 Cyberbond is a leading global manufacturer of industrial adhesives. Today, the compary operates offices all over the world, ensuring that all adhesive needs comprehensively are satisfied. The seeds of Cyberbond’s success are their product purity and consistency. Furthermore, the organization is certified with the possession of three ISO norms (ISO/TS 13485:2003, ISO/TS 16949:2009 and ISO 9001:2008) which ensure the development of new innovations, but without compromising unparalleled standards. while generating substantial value. 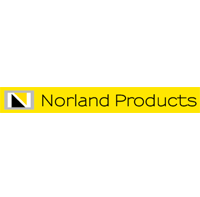 Norland manufactures different products including fish gelatin, ultraviolet curing optical adhesives, UV curing electronic adhesives and fiber optic equipment. Most of their products are unique and must have high performance properties with definite advantages to be accepted over alternative products in the market place. Novagard® Solutions is specialized in the customized formulation of single-component, neutral-cure, oxime silicone RTVs (room temperature vulcanates) for a variety of industrial applications. These silicone products are scientifically formulated to meet customer specified performance requirements. Dynamic manufacturer of innovative solutions of mixture, THINKY corporation™ revolutionized the recourse to dispensing by suggesting meeting the needs of industrialists upstream. 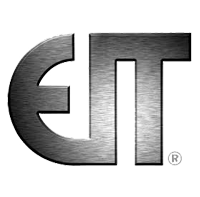 The company become recently partner of Gentec. 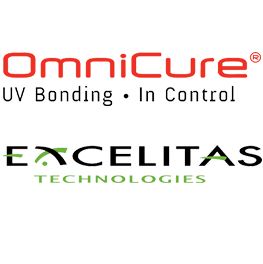 Excelitas Technologies provides innovative, customized optoelectronics and advanced electronic systems to a global customer base of leading OEMs seeking high*performance, market-driven technology solutions. We are committed to enabling our OEM customers’ success in their markets and applications. Experienced specialist in dispensing solutions, Poly dispensing systems™ (PDS™ ) offers a complete line of reliable dispensing equipment. Present in over 20 countries around the world, PDS™ offers solutions in perfect harmony with the technical and financial needs of customers. In the context of the ongoing customer satisfaction, PDS™ strives to provide a perfect pre-sales and after sales service. EIT UV radiometers are calibrated instruments that measure UV energy in relation to a standard UV source. On-Line monitoring instruments are not calibrated; they indicate UV energy relative to a user-defined benchmark. PreciFluid Dispensing is a European company specializing in the dosage of fluids involved in the development of the most demanding industries: aerospace, automotive, renewable energy, weapons etc. For his expertise, his mastery of micro-motors and drive systems, and its potential in R & D, PreciFluid Dispensing provides its clients an efficient and sustainable technology to optimize their production lines and the use of their fluids. Preeflow® is a brand name powered by ViscoTec Pumpen- u. Dosiertechnik GmbH. ViscoTec primarily deals in systems required for conveying, dosing, applying, filling and emptying medium to high-viscosity media. The headquarter of the technological market leader is in Töging (upper Bavaria, near Munich). In addition, ViscoTec has subsidiaries in the USA, in China and in Singapore and employs about 120 people worldwide.